The program of Transdisciplinary Education is launched since 2012. The Program Office is established in 2011 and conducted by Professor Jwu-Ting Chen who is a professor in Department of Chemistry, and the director of the Center for the Advancement of Science Education (CASE) in National Taiwan University. As a program of Ministry of Education in Taiwan, this program is officially titled “MOE Program for Trans- Disciplinary Education on Society-Humanity-Science – Cultivation for the Competence of Cross-Boundary Problem-Based Learning in Colleges”, and is also abbreviated as SHS Program. The SHS program aims at the development and innovations for trans-disciplinary educational curriculum and activities in the context of higher education. “Trans-disciplinarity” as key concept for this educational program refers mainly to “learning by doing” approach toward real world problems which requires cross professional expertise or specialties in the disciplines such as political, business, management, and scientific studies etc..The program office endeavors to set up a platform which can provide the teachers and students to create their learning environments as well as opportunities for their ideas in TDE. It’s expected that trained students will be able to adopt critical and inquiring thinking as well as the hands-on experience with trans-disciplinary perspectives, particularly with engagement in leaning to solve the important or critical issues which are either local or global. This office serves to grant and evaluate curricula, courses, or school programs in nation-wide colleges. The forum offices will totally hold 30-40 discourse per year, which are expected to initiate issues or problems that may facilitate further study for the courses, and make the bridge between the academic community and the public. This office serves for the production of program outcome through internet and communications. One-week summer academies, named “.COM ACADEMY”, will aim to set up an internationally known learning arena for TDE which will inspire and train students and teachers with designed scenario of “learning by doing” through competition or interactive training. The promote centers will be responsible for cross-school and cross-region activities including workshops, symposia, or competitions that may serve to excel the learning performance for communications in TDE. Brilliant! 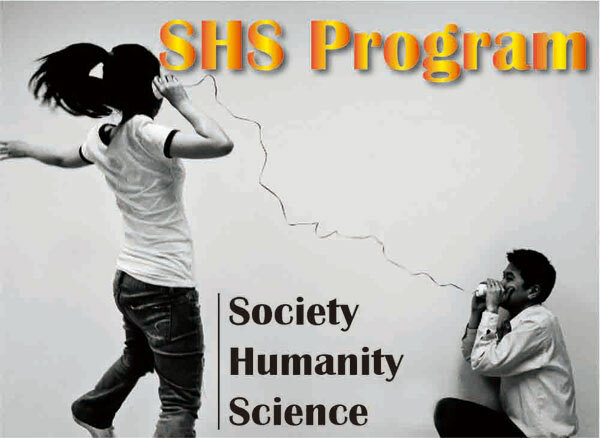 I’m so pleased to learn that there is an official English introduction to SHS Program now. It is very helpful for people who operate within English environment. Thanks.